Welcome to Day #6 of Chocolate and Surprise Theme Week. Vitamin D is nicknamed the sunshine vitamin because sun enables human bodies to produce this vitamin. * During cloudy winter days, one can also get Vitamin D from food or vitamins. 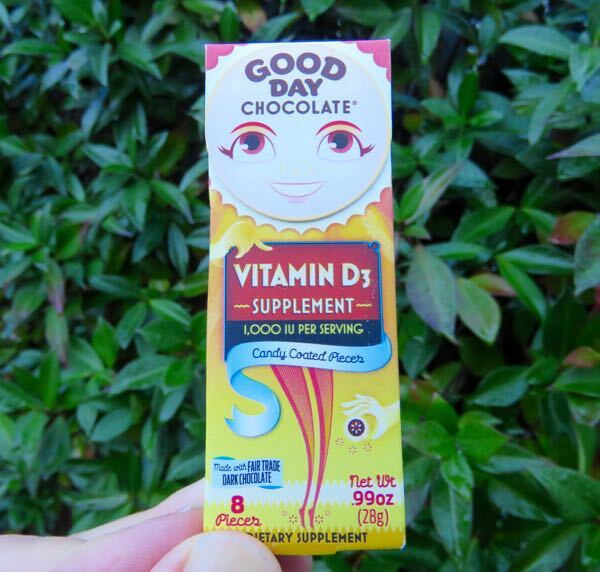 What about a Vitamin D supplement made of chocolate? Surprise! One exists. Today's Vitamin D3 Supplement from Good Day Chocolate (Boulder, CO) materialized in the form of chocolate candy coated pieces (think super-sized M and M candies from Mars). 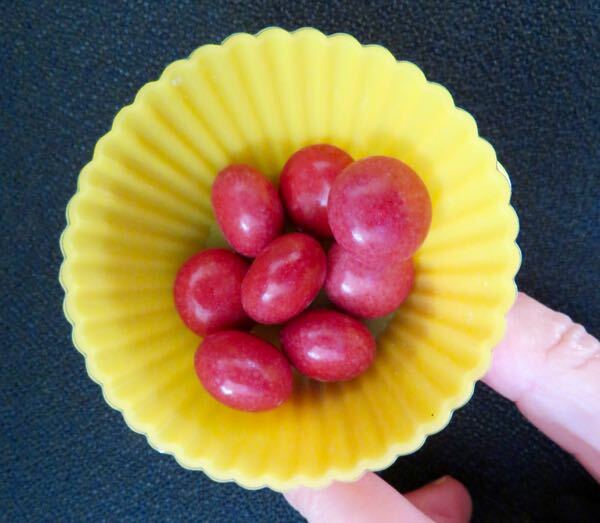 Each crunchy, naturally-colored red candy shell contained a dark chocolate center made with fair trade cacao. These almost had a slight dairy butter, yellow floral flavor to them; but this could have been my imagination. Yellow sunshine and fields of yellow flowers are a few months away. *These chocolate candy dietary supplements contained 1,000 IUs per serving (1/2 package). It might take 15-20 minutes of California (winter) sunshine for a person to be able to make this much on their own.